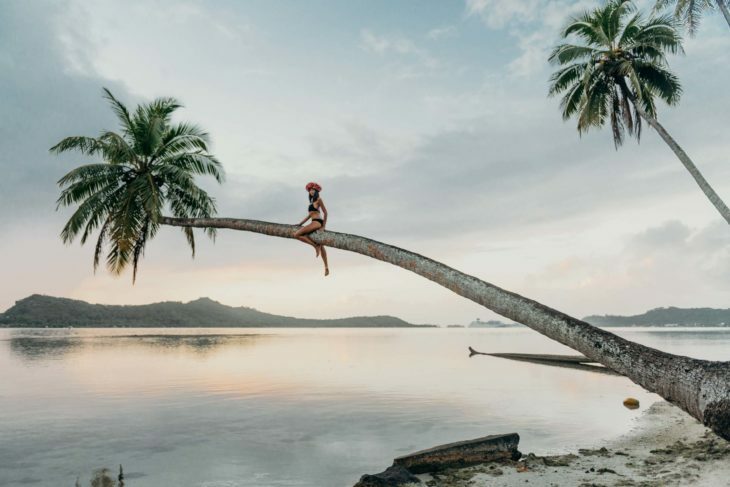 Marc Gérard • Bora Bora Photographer • Wedding, Honeymoon, Portrait..
You will find on our website dozens of wedding pictures, couple & honeymoon photo shoots, portrait & family sessions. We suggest you take some time to view them and get to know our photography style. 2. Read the stories and our testimonials. Then, why don’t you browse the blog to discover the latest stories. 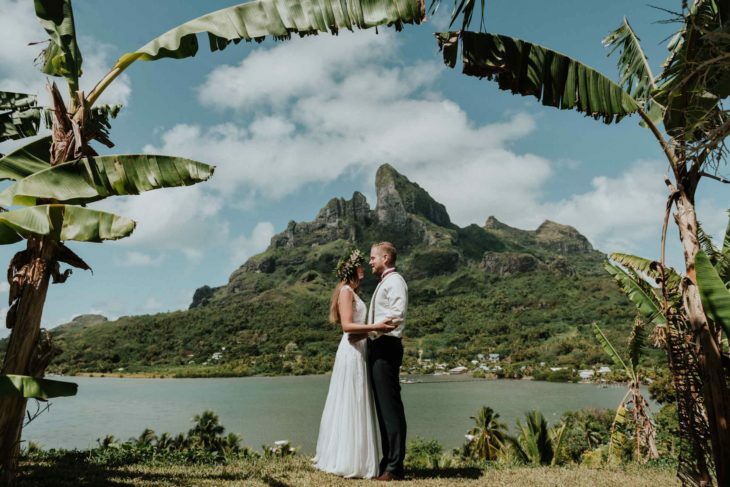 You can also read the latest reviews from the couples who trusted us as their Bora Bora photographers. 3. Book your photo shoot. WOW! Just wow! 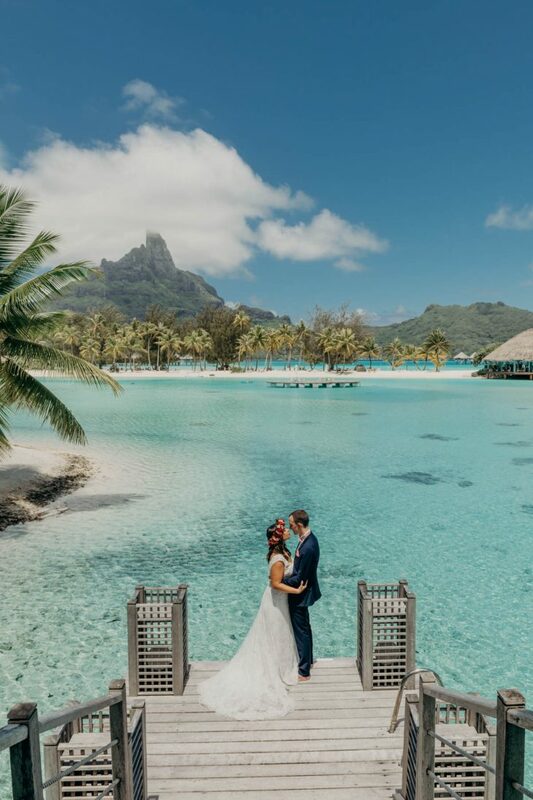 My wife and I are so grateful to have found Marc and Billie to document our dream honeymoon in Bora Bora. Even if you aren’t totally comfortable around the camera, none of that matters because Marc and Billie know how to put you in your best light. 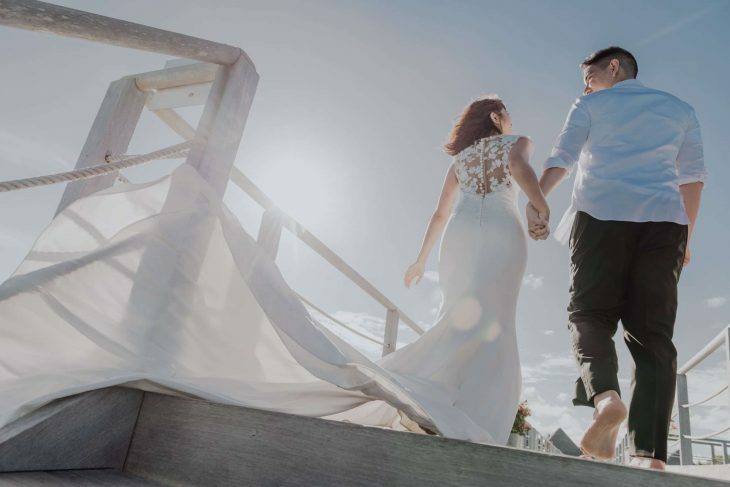 Marc's contemporary and trendy eye and his ability to capture priceless moments are what sets him apart from other photographers. Leading up to the photoshoot, Billie was professional and prompt in responding. She stayed in touch with us every step of the way and took care of organizing everything with our hotel. During the actual shoot, they made the 2 hours feel so comfortable, relaxed, and most of all FUN! Shooting with them was an adventure in and of itself. You can tell that these two truly love what they do. Our final photos were everything we could have asked for and more, and came within 10 days following the shoot. So fast! Our photos make us look like actual models and truly capture what it means to be in paradise. We are so excited to share them with everyone we know! Marc and Billie are simply amazing! From the moment we were introduced to our last photo, Marc and Billie truly put you at ease! Instantly you feel totally relax and trust every shot will be the best to capture your moment. I never thought of myself being photogenic, but Marc and Billie pulled it off in spades!! I couldn’t ask for a better wedding photographer to capture our wedding. If you want an authentic, down to earth, genuine couple, who not only listen to what you want, but also enjoy having fun, look no further! Marc and Billie, thank you from the bottom of our hearts. You captured the essence of our marriage that went beyond our expectations! P.S. : Highly recommend getting the photo albums! They are a fantastic investment and look phenomenal. Marc and Billie are simply phenomenal!! I couldn't have possibly hoped for better. They are very insightful, flexible, courteous and reliable!! With so much riding on creating "perfect moments" they were able to produce and exceed our expectations of capturing every moment flawlessly!! Their quick turnaround time providing edited pictures in a matter of hours was beyond impressive. I highly recommend their services for ANY event or moment that you may want captured in time! Effortless, comfortable, easy-going, fun & exceptional – those would be the words to describe our session. Marc & Billie, you guys are such an inspiration not only as a loving couple but as a power couple that loves what they do, together. Thank you for your amazing vibe, that sure helped us feel at ease and comfortable during our shoot. We had a great time getting to know you and appreciate everything you did for us! Our photographs are UNBELIEVABLE and that truly reflects how relaxed and happy we were around you. Sooooo glad we picked you guys for our French Polynesian memories!! THANK YOU, THANK YOU, THANK YOU for creating such incredible memories, they will be cherished in our hearts forever. My fiancee and I did the 1 hour mini couples session with them in Bora Bora and there aren’t enough words to explain how thankful we are to Marc and Billie! We contacted them on short notice and they made it happen. They called our resort and told them of our appointment and came straight to our door. Both are unbelievably easy going and were so friendly. Whether you’ve been in front of the camera before or not, they knew what to do to get us to relax and have fun. And our photos turned out AMAZING! We couldn’t be more happy. Setting up the shoot was a breeze. We had a general idea of what we wanted but weren’t sure where and how to go about it. TAKE THEIR ADVICE. They knew our resort and the best places to shoot - so whatever your vision is, they know what to do. Nothing but the biggest pleasure working with them. We have these memories for the rest of forever and we’re so glad to have crossed paths with them. Cannot recommend them enough! I highly recommend Marc Photography, the photos are just amazing , the selections he made was so colorful, beautiful and artistic. He could catch all the emotions on his photos , my husband and I now have the best memories of our wedding, we are happy and the guests were happy too with it. Their first approach to us, was very professional and also personal, they took all the time to get to know a bit more about us , about what we wanted. We felt listen and in good hand from the right beginning. Young and sooo talented! The whole experience was brilliant. Marc and Billie created a stunning day and moment for us. Marc took his time making us feel at ease throughout the shoot and took the greatest care to ensure everything was perfect for each shot. We were so relaxed and had so much fun, it made such an enjoyable afternoon. These photos are so precious to us now. My partner and I love them and will be sure to get them printed for back at home. 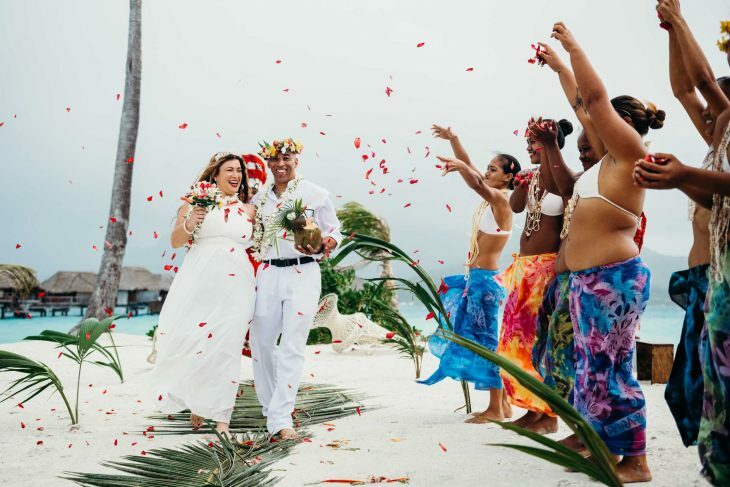 We would really recommend Marc Gerard photography and this unforgettable experience in Moorea. 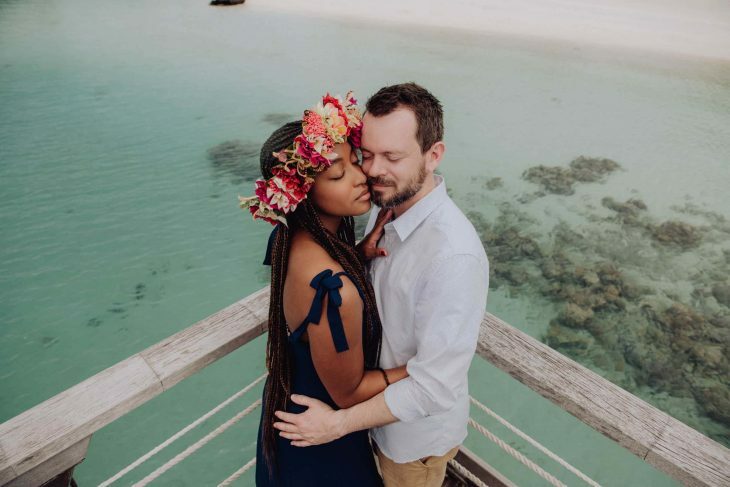 We found Marc and Billie on Instagram and were stunned about their photos and decided to give it a try on our honeymoon in Bora Bora. The contact and arrangement of the shooting was very easy, friendly and professional. Since my husband and I aren't 100% comfortable in front of the camera, we were both a bit nervous, but Marc and Billie were so cute and funny, that forgot about the nervousness and had so much fun! Marc and Billie are the most amazing people. Very responsive and helpful in planning the shoot. Marc is an outstanding photographer and captures the most amazing moments, posed and natural both while he’s there. They both were great with my son too and got him to engage in the shoot well. We went over the time and they didnot mind at all but captured everything we wanted, gave us the best candid memories forever. Over all they were way above all my expectations. Just the sweetest people. We are so so happy that we found Marc and Billie to shoot some candid pictures of our family during our holiday in French Polynesia! We had a wonderful time working with them. They were very professional and responsive from the moment I reached out to them and were extremely easy to shoot with as well. 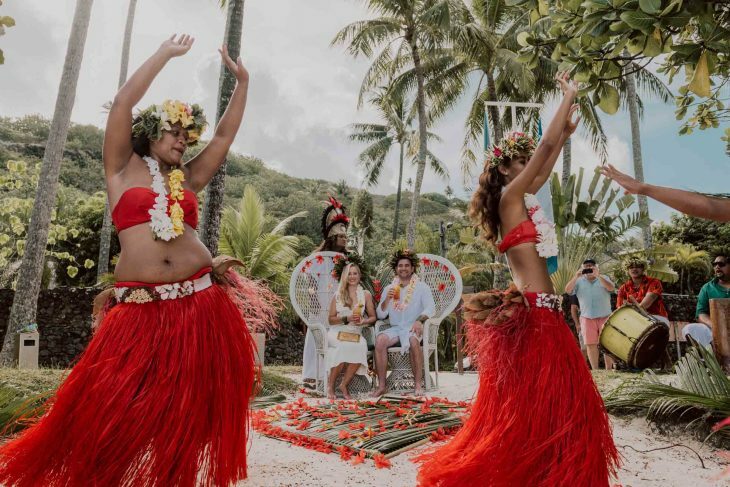 They came to our resort and knew exactly where the best locales were to get the best angles and backdrops that made the whole process very easy for us. Let’s talk about your photography project! 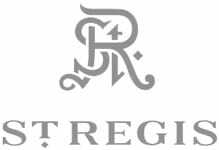 We service all resorts including Four Seasons Bora Bora, St Régis Bora Bora, Conrad Bora Bora Nui, Intercontinental Thalasso & Le Méridien Bora Bora.